Since when did airline safety get so hilarious? If there is one thing New Zealand’s international and domestic airline, Air New Zealand, has taught us, it’s that anyone can do an in-flight safety video. From beach babes to old age pensioners, everyone gets involved! Of course, we know New Zealand is known for a lot of stuff, but by being real Middle Earth and obsessed with rugby, this has really worked to Air New Zealand’s advantage to make some hilarious safety videos! Only in New Zealand can they take one of the most boring but necessary things about a flight and turn it into something amazing. Just take a look at the videos below to see our favourites! And, by the way, the videos are not the only reason Air New Zealand is Awesome. Of course, Air New Zealand can’t make a bunch of airline videos without including Middle Earth! 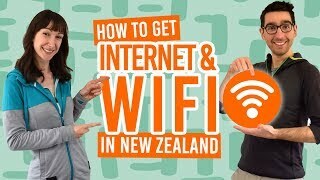 This safety video, aptly titled The Most Epic Safety Video Ever Made, is pretty much how we all feel when first arriving in New Zealand: complete nerds so eager to visit the real Middle Earth! What’s more hilarious than Bear Grylls running around New Zealand with a fish sticking out of this backpack?! Nothing! The Bear Essentials of Safety, if anything, is a great insight into how to survive in the New Zealand wilderness: eat glowworms, chase extinct moas, and never wash your face. This is hilarious if not slightly random. The All Blacks star as the Men In Black, to which the colour black is their only connection. They were really grasping a straws with this one. Nonetheless, rugby players rapping about airline safety is a sight everyone needs to witness at least once in their lives! No one knows how to stay alive quite like the elderly. They’ve been alive for decades! The video is packed with everything we love about old people: antiques, bad jokes, not being able to stand up, oxygen masks, false teeth, and horny care home residents (yes, seriously). Just take a look. Air New Zealand is a major airline between New Zealand and the South Pacific islands. Obviously, the way to showcase this is to team with the 50th anniversary of the Sports Illustrated Swimwear Edition! Let the bikini babes show how they do airline safety in paradise. Have you ever wondered what Richard Simmons is doing these days? Us neither. But the 1980s fitness instructor gives us a super enthusiastic airline video, disco style! You will certainly be out of breath after this airline video, but not from exercising. Another Middle Earth themed safety video, this one was made in anticipation of The Hobbit: An Unexpected Journey. The hilarity starts with everyone on the aircraft looking like they are on their way to a Lord of the Rings convention. Surfing is huge in New Zealand, so Air New Zealand jumped at the chance to put an “far out” surf edit together with some pros and international names in surfing. This is getting away from the hilarious airline video Air New Zealand tends to do and just simply gives us some epic surfing to enjoy. The latest edition of the Air New Zealand safety video fleet (as of Winter 2016), Kiwi comedian, Rhys Darby, invites Anna Faris, that actress from Scary Movie, to star in a Hollywood movie safety briefing! This is all your favourite Hollywood themes rolled into one: romance, horror, cop, western… Well, just watch it, you’ll see the rest!